The following code is my attempt to find M and N such that AM=CN=BC. However, I am trying not to use \psGetDistanceAB and \psGetAngleABC. 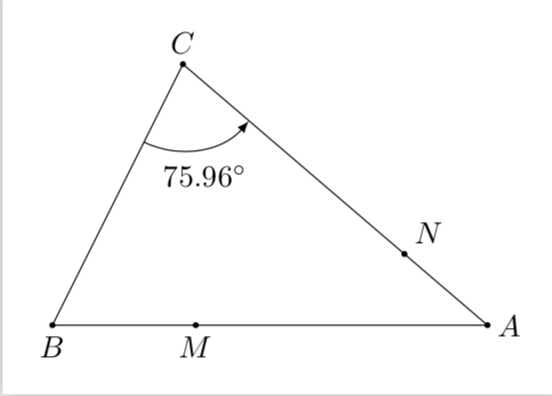 How to get M and N such that AM=CN=BC only with a compass and a straight edge? The simpler the code the more challenging it becomes. PointNameA and PointNameB cannot be assigned none but empty. It looks like a bug. A version in which you do not have to compute anything yourself. 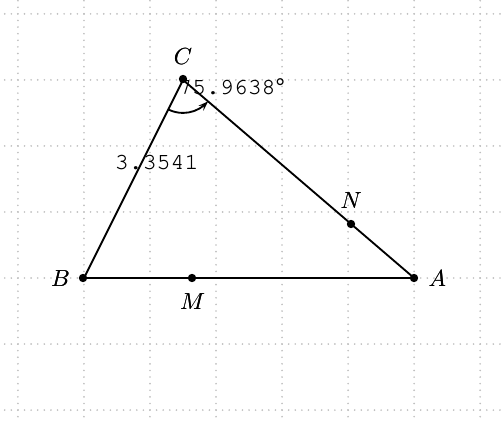 All distances and angles can be very conveniently computed with TikZ. 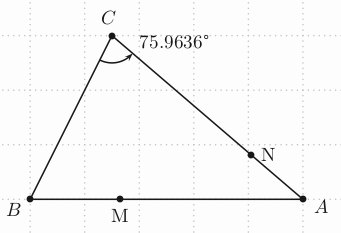 In more detail, the following code computes the distance between B and C (\n1) as well as the "slopes" of all the edges, and then uses polar coordinates to set M \n1 away from A in B direction and N \n1 away from C in A direction. 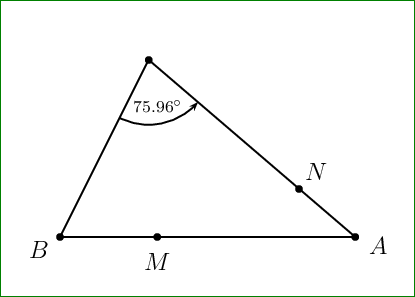 The angle at B is also computed by tikz and inserted via \pgfmathprintnumber which allows you to specify the number of digits and so on, if needed. How to express a polar coordinate for a macro that only accepts space-separated values? 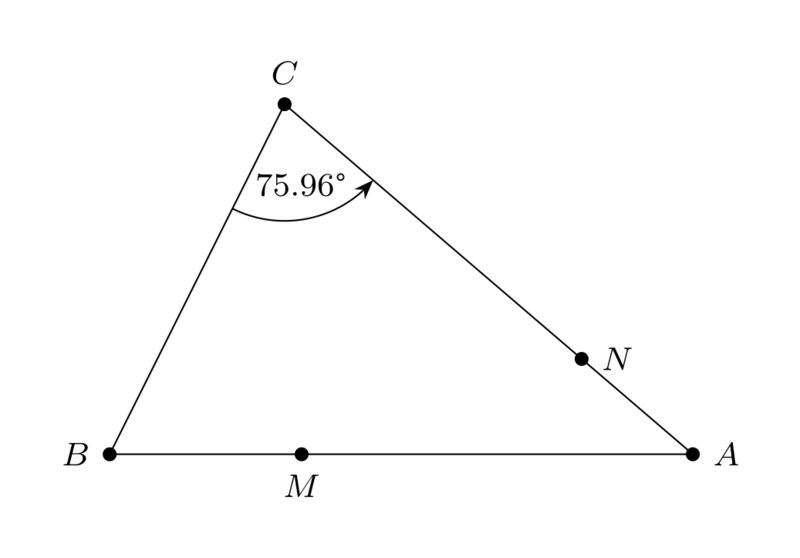 How to make my protractor able to accept both points and nodes? How do I ignore lines to points with y=0 using pst-plot and a logarithmic y-scale?